If the roof on your Belleville, Illinois home has developed a leak or was damaged by severe weather, don’t put off the needed repairs. If you want to avoid further deterioration that could lead to a full replacement project, contact the residential roofing repair experts at Daech & Bauer Roofing. 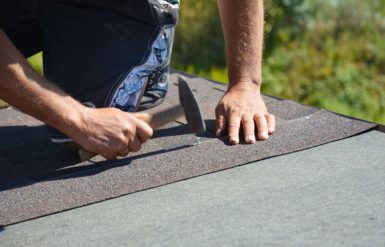 We can work with your insurance company to ensure that your roof is returned to optimal condition in a timely fashion, and with more than 10,000 successful projects on our resumé, we have the experience needed to get the job done right. If you would like to schedule a consultation at your Belleville-area home to discuss the residential roofing repair services we offer, contact Daech & Bauer Roofing today. Financing plans with low monthly payments are available to those who qualify.